Those that have followed me for the past couple of years will know I am a CRAZY baker. I absolutely love baking so much. I adore anything with chocolate so chocolate lovers you will LOVE this. It’s the most simple recipe ever from Donna Hay. Donna Hay is Australia’s leading food editor and best-selling cookbook author. I got her cookbook given to me as a present for Christmas and I’ve been addicted ever since. I’ve been on a diet for the past 4 weeks so I haven’t made them in a while now but if I’ve a special occasion coming up it will be the first thing I will cook. This makes 8 medium squares each or 16 small squares. Preheat the oven to 160degrees. Put the flour, baking powder and sugar in a bowl and mix to combine them together. Add the eggs, caramel, vanilla and butter and whisk this until smooth and fluffy. No tasting 😉 At this point when the mixture is ready it tastes soooooo good. Break up the dark chocolate into chunks and mix it through the smooth mixture. They should be chunky as when baked it tastes better. 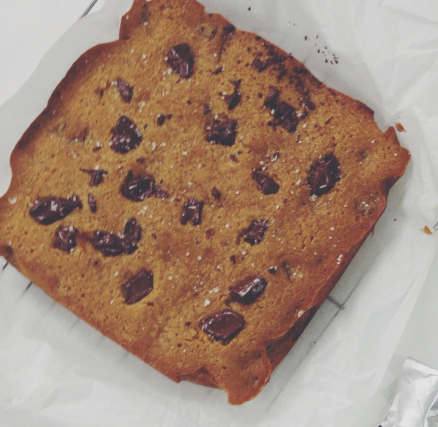 Place the mixture into a baking tray 20cm square tin and sprinkle the sea salt flakes on top of it. This gives it the best taste ever! So do not forget the salt. I hope you guys try it. 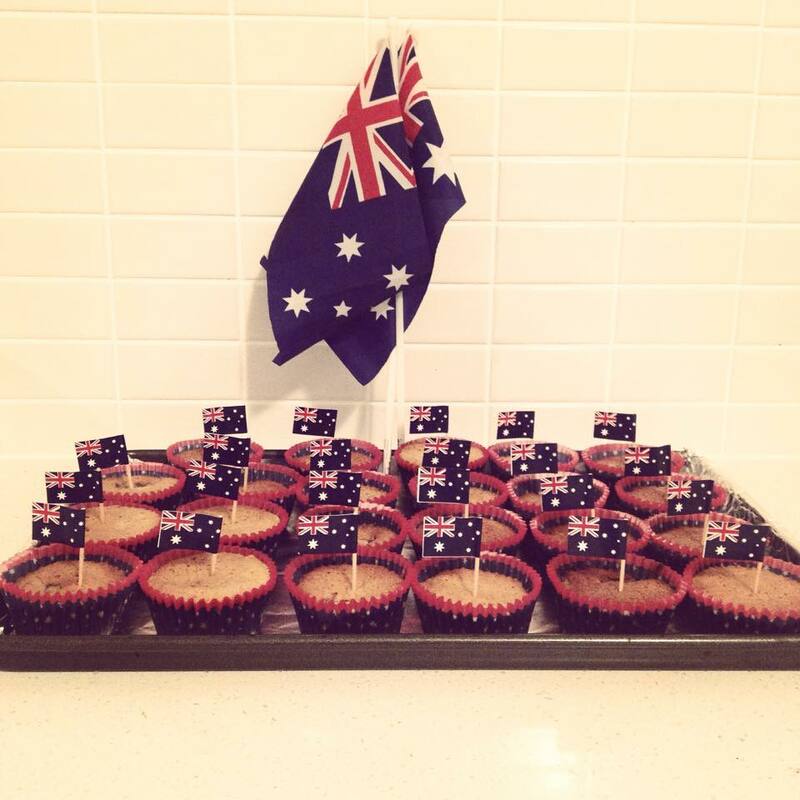 I made the mixture and put it into cupcake cases for Australia Day as I was going to be bringing them to a party and thought it would be easier & less messy. I serve my brownies with a side of strawberries and they are YUM! Previous Post What’s in Aoibhe’s CHOIES.com Shopping Bag?